Stop terrorists from moving money through your financial institution to fund their destructive crimes. Terrorist organizations require the US banking system to first clean and then transfer funds obtained through their far-reaching criminal networks to extremist cells responsible for perpetrating attacks on civilians around the globe. Verafin’s advanced anti-money laundering analytics alert you to unusual activity that may be indicative of terrorist financing activity, and provides tools to strengthen investigation and reporting. Individuals looking to participate in terrorist activity overseas often rely on loans to finance their preparation and travel. Loan charge-offs, in combination with other suspicious activity indicators, are used to alert you to potential terrorist financing activity. Customer transactions are analyzed for international activity that may indicate a customer’s presence in countries publicly identified by various governmental agencies as high risk due to weak or non-existent Anti-Money Laundering (AML) and Counter Terrorist Financing (CTF) measures. With Verafin’s powerful 314(b) information sharing tools, and automated SAR functionality, you can strengthen your investigation into terrorist financing alerts, and report suspicious activity directly to FinCEN. Complete transactional and profile data, all available within Verafin, and robust case management functionality help make your investigations more efficient and increase confidence in your decision making. Wires and International ACH Transfers sent to designated risky countries generate risk-rated Money Laundering alerts, which can provide important additional evidence for your investigations into potential terrorist financing information. Every night your customers are automatically scanned for matches against all installed watch lists, including OFAC and 314(a). You can also scan wire and IAT files and have front-line employees perform searches during account opening or non-customer transactions. 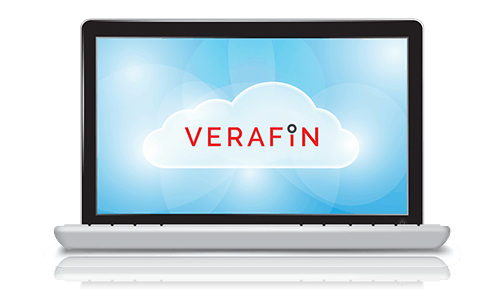 Interested in learning more about Verafin's Terrorist Financing Solution?